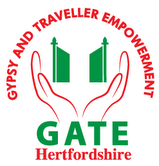 Gate Herts believes that privacy and data protection rights are very important. We will not collect any personal information about you on this website without your clear permission. Any personal information which you volunteer will be treated with the highest standards of security and confidentiality, and strictly in accordance with the UK’s data protection laws. We collect and use information to provide anonymised human rights data and reports that will be made available to government and other Non Governmental Organisations, and to organisations like the Equality and Human Rights Commission. The purpose is to provide up to date information on the experiences that people have of hate crime and incidents and evidence to support the case for better laws, policies and practices for combating hate crime and incidents. All published material will have any personal information removed before being compiled.